Although ASG's Metropolitan CityMarket chain opened back in 2014 to much fanfare, only two locations remain. One is over in Bed-Stuy, Brooklyn at 1142 Bedford Ave, and the other is here in Bay Ridge. 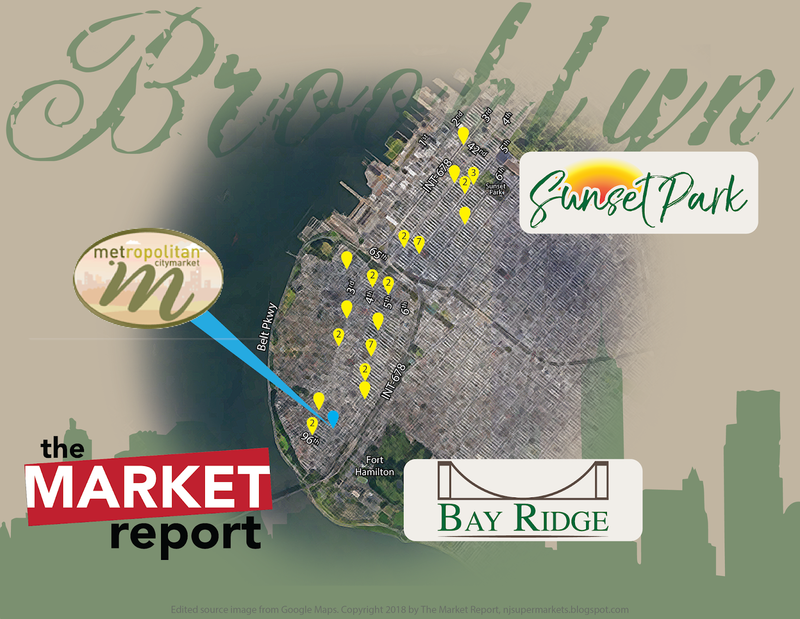 Metropolitan CityMarket is the only store on 4th Ave that we've seen in the southern part of Bay Ridge. You enter on the left side of the storefront, with a small deli immediately inside to the left. Produce lines the first aisle, with meat along the back wall. 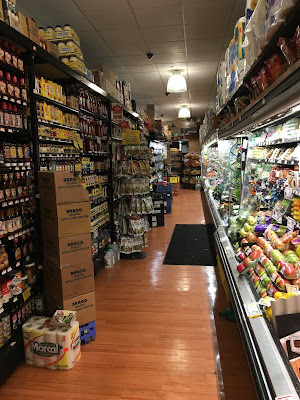 The produce department is clearly quite upscale, with a significant selection of organic products even in a small space, plus things like the premade salads and fruit bowls on the left. Also there's green squahs. Nice custom aisle markers! 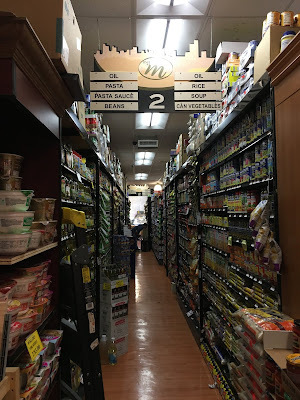 Also worth noting is that this store, along with Met Fresh (which we'll see on Monday, and which shares owners with Metropolitan CityMarket), was playing classical music. They're really going for the high-end customer! Lots of packaged prepared vegetables. I wonder if some of this prepared stuff is done over at Met Fresh and brought in, since there's so little space in this store. Not entirely sure why, but condiments like this are almost always facing the produce department if there is a grocery aisle on one side of the produce department. Any insight? Overview of the first aisle. With stacks like these, how can a customer possibly get something they want? They clearly can't take the top one, and I wouldn't advise taking the bottom one either! Meat in the first half of the back wall, with beer on the other side. Even in a small store, they still manage to duplicate an item on the aisle marker! Frozen foods along the side wall of the store, seen straight ahead here. Second to last aisle. There are five aisles. 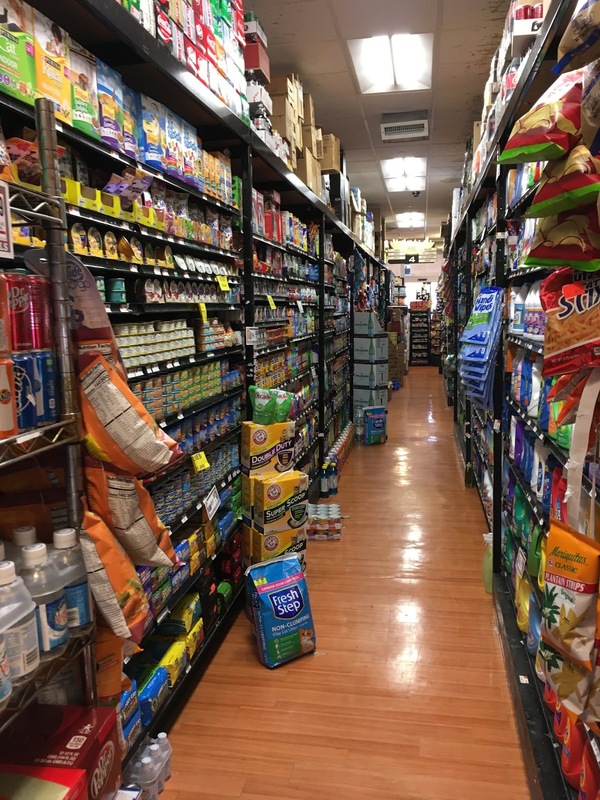 The last aisle contains frozen foods and dairy. Metropolitan CityMarket sure manages to pack in the selection in a really tiny space! A look across the entire front-end. As an interesting side note, bread is actually past the registers along the front wall. I don't think I've ever actually seen it there anywhere else. I have no explanation on the condiments placement either. Offhand, I think perhaps styertowne might know. But I do agree that it's very common. Even if an aisle doesn't face produce, the grocery stores around me always have condiments in Aisle 1 regardless. I haven't heard from styertowne in a very long time, but they always had very insightful (and frequently inside) information. And just off the top of my head, I'm pretty sure that placement goes back to the 1950s; I'm pretty sure Acme Style has written about that exact layout.